Mattia Borriello better known as M.I.T.A., born in 1990, starts his career when he was 14 playing music at friends’ parties. During the past years he refine his technique spending a few more hours in his studio producing his first tracks. 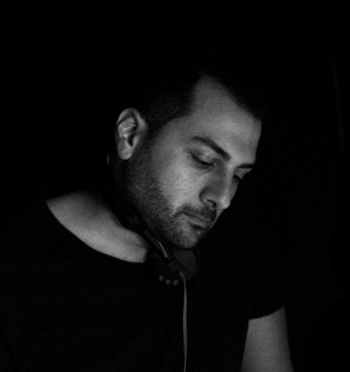 Still young, he releases an ep on Phobiq, neapolitan label owned by Sasha Carassi. From there better and better; in 2010 he did a remix for “Polychromatic” and after a while he received remixes from artists like Audio Injection, Paul Mac and The Advent & Industryalizer. 2014 was his year: his ep “Level Down” together with a techno master, The Advent, appeared on Mixmag magazine as release of the month (December edition). Friendship with Cisco became really strong and the duo decided to come back in studio together. In a few, M.I.T.A. assigned tracks to Analytic Trail, Elevate and Driving Forces. 2017 will be a great year, since M.I.T.A. will release ‘Level Down’ EP with The Advent, ‘Forgotten Galaxy’ EP with remixes from Industryalizer and Teste and last but not least his remix for Pig&Dan! His works didn’t go unnoticed and his productions end up on playlist of deejays like Tim Xavier, Dj Emerson, Alan Fitzpatrick, Pig & Dan, Gary Beck, Umek, Paco Osuna, Luigi Madonna, Markantonio, Kaiserdisco, Spartaque, Tomy DeClerque and Sian just to name a few. Mattia Borriello in arte M.I.T.A., classe ’90, comincia la sua carriera all’età di 14 anni alle prime feste tra amici. Nel corso degli anni affina la sua tecnica e comincia a passare qualche ora in più in studio sfornando così i suoi primi lavori. Ancora giovane rilascia un ep su Phobiq, etichetta partenopea nata dall’ingegno del maestro Sasha Carassi. Da lì tutto in discesa; nel 2010 remixa “Polychromatic” e dopo poco riceve importanti remix da produttori del calibro di Audio Injection, Paul Mac e The Advent & Industryalizer per nominarne alcuni. Il 2014 è il suo anno: l’ep “Level Down” insieme ad uno dei guru della techno, The Advent, appare sulla nota rivista Mixmag come release del mese di dicembre (2014). Il legame con Cisco diventa sempre più forte ed i due dj decidono di ritornare in studio insieme. Nel giro di poco tempo, M.I.T.A. comincia ad assegnare tracce ad etichette come Analytic Trail, Elevate e Driving Forces. Il 2017 sarà un ottimo anno, dato che M.I.T.A. rilascerà ‘Level Down’ in collaborazione con The Advent, ‘Forgotten Galaxy’ con remix di Industryalizer e Teste ed ultimo ma non meno importante il suo remix per Pig&Dan! I suoi lavori non passano inosservati e le sue tracce finiscono nelle playlist di dj del calibro di Tim Xavier, Dj Emerson, Alan Fitzpatrick, Pig & Dan, Gary Beck, Umek, Paco Osuna, Luigi Madonna, Markantonio, Kaiserdisco, Spartaque, Tomy DeClerque per nominarne solo alcuni.